This week, we are happy to announce our new pedagogical approach. We actually created coaching sessions. In this article, we’ll describe the use and benefit of this new approach. The goal of this new teaching resource is to discover a new approach with questions / answers between the trainer and the users. Indeed, these coaching are dedicated to small group of 5 individuals maximum. Moreover, this coaching will give all answers to the questions you are asking yourself. There exchanges permit to optimize and broaden your knowledge. 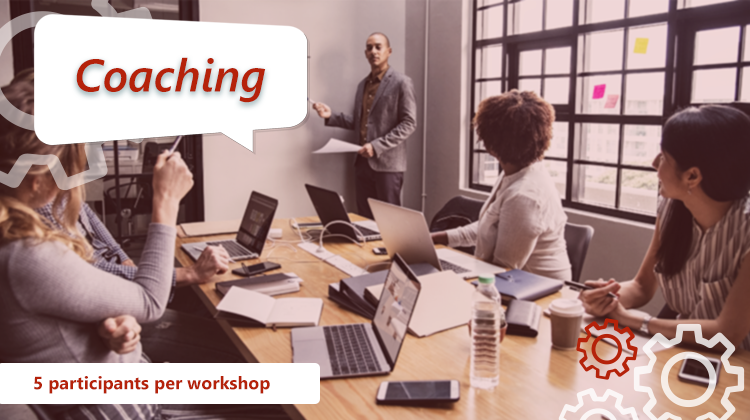 For this first sessions, we created coaching sessions about Microsoft Teams. As a matter of fact, this online collaborative platform bring together all features of Office 365. This one facilitates working relationship and teamwork. Whether you are beginner or more skilled the trainer will answer of all your questions. Our goal is to help you go further into the comprehension of the tool. Thanks to these sessions, you’ll be able to use the software while being able to talk to the trainer. We have already planned 2 coaching sessions per week. Each session has a duration of 45 minutes. How are you to register? Go to the MOOC Office 365 platform and in the course dedicated to coaching sessions, choose your date in the “Next session” part. Then choose the session that matches with your calendar. Don’t hesitate to provide us feedback about your first coaching session. Contact us via e-mail or on social networks. Give us your opinion! You would like coaching sessions on another topic? Write us now!